One of the many things a good designer should talk with you about is universal design. It's called a lot of things, and we've tried to find a politically correct way to coin "getting older". Truth is, if you're not planning now it's likely that you'll be at a disadvantage once you arrive at either your golden years or with some type of limited mobility. For longer than I can remember, any ADA(Americans with Disabilities Act) compliant products were as utilitarian in style as they were use. 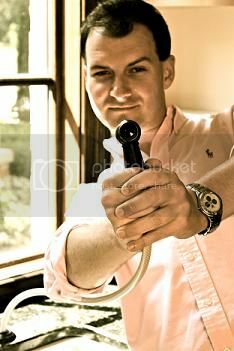 I've yet to be approached by a client who asked for their kitchen or bath to resemble a hospital room. 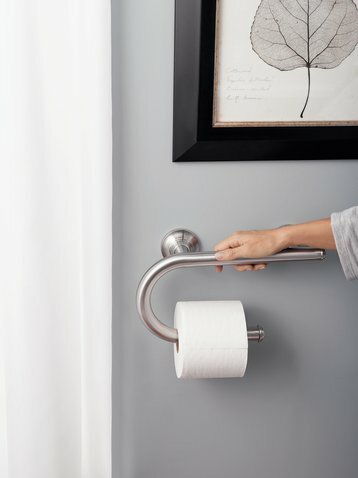 In the past few years, companies have jumped on the bandwagon of not only being more aware of the need for universal design products, but also improving the aesthetic along the way. 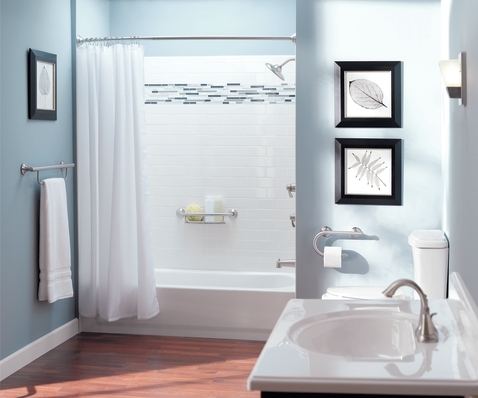 Check out this bathroom that features Moen Home Care products. You may or may not notice the grab bars. You may just see a toilet paper holder and a towel holder in the shower(they're grab bars, too!). Are we there yet? Not quite, but this is a HUGE step in the right direction. 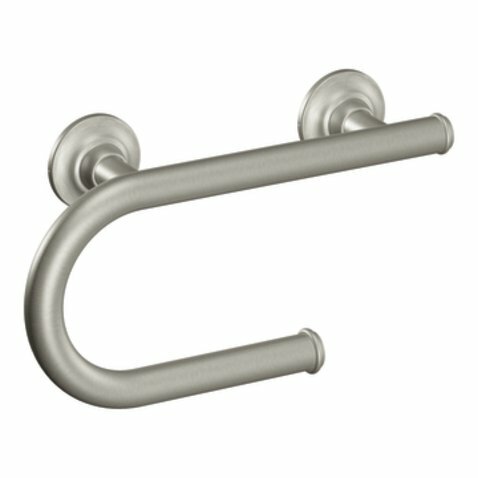 According to the Moen site, you can pick up one of these grab bars for less than $60. The bars are tested to a 250lb weight. It's a good sign. Universal Design doesn't have to look bad! Oh excellent! Perfect for a project I'm working on right now. Thanks! Design is just as important as function!